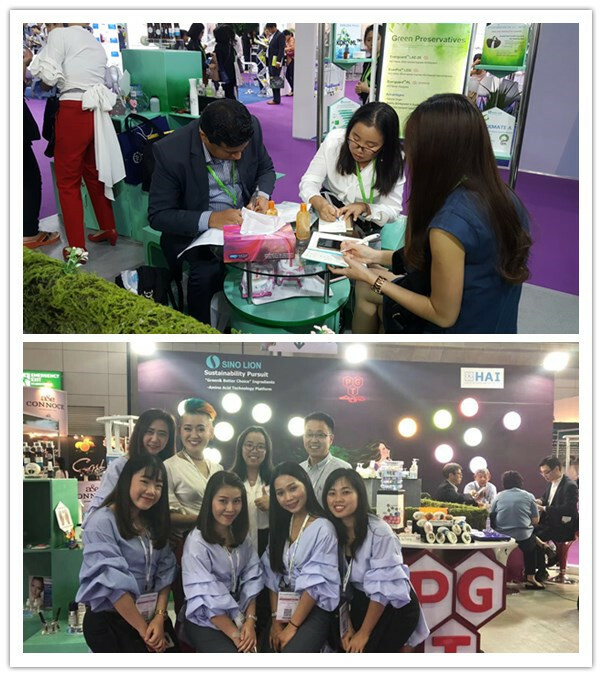 During the three-day exhibition, the visitors from nearly 20 countries including China, UK, USA, Canada, Singapore, Thailand, Vietnam, Indonesia, Malaysia, Philippines, Japan, Australia, Sri Lanka, India and Iran showed interested in our products: Amino Acid-based Chelating Agents ，Amino Acid-based Surfactants，Liquid Crystal Conditioner，Natural Emulsifier，andSensory Agents etc. In addition, we offered our customers natural effective solutions for hair care and body care. This year, natural raw materials and formulas are quite popular. 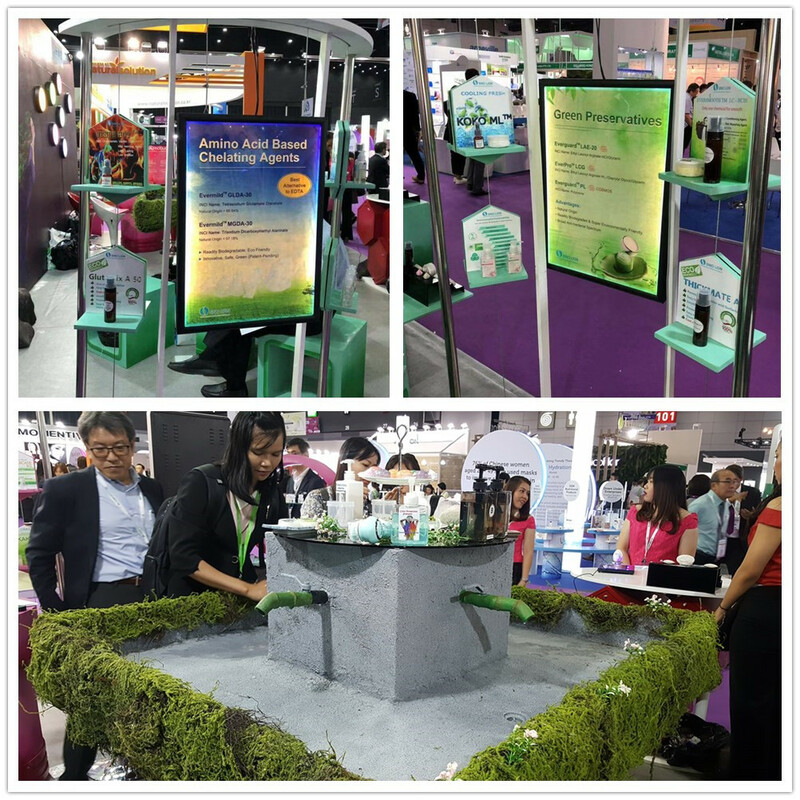 As a big potential cosmetics market, in recent years many international companies established their own factories in in Thailand, satisfying the market demand in Asia. Cosmetic industry growth in Thailand is putting it In line with the developed and mature markets such as Europe and the United States. Only continuous innovation will help us stand out in the highly competitive market. Sino Lion will continue to improve our amino acid technology, accelerate the construction of our biotechnology platform, and provide consumers with more natural personal care and home care raw materials and solutions.